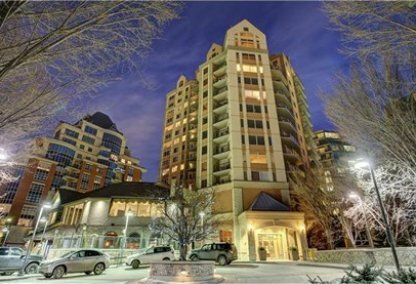 See today's Eau Claire condos for sale in Calgary! Eau Claire is a mixed-used neighborhood lying immediately north of downtown Calgary, Alberta. 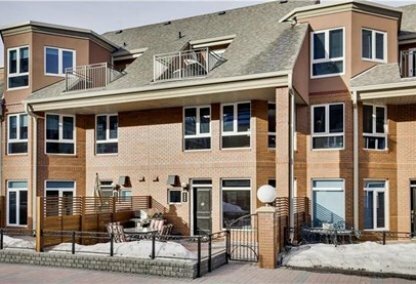 Located south of the Bow River and north of 4th Avenue, this community consists of riverside condos, shops, restaurants, hotels, and an expansive public plaza and urban parkland. This Eau Claire Plaza is host to the Festival District, one of the most popular areas of Calgary. For information about Eau Claire homes for sale call us today. Eau Claire housing market statistics: As of April 25, 2019 there are currently 36 properties for sale in Eau Claire listed as active, with an average asking price of $830,425. The highest-priced property is $3,500,000; the lowest priced property can be purchased for $199,900. Eau Claire neighbourhood listings have an average price of $455 per square foot, based on listings with 2.0 bedrooms, 2.1 baths, and 1,788 square feet of living space. Looking to sell or buy a condo in Eau Claire Calgary? Call Justin Havre at RE/MAX First - 403.217.0003, your neighbourhood Calgary real estate team. We are Eau Claire real estate agents and experts on the Eau Claire housing market in Calgary. The history of the Eau Claire community traces back to the 1880s, when a sawmill was set up in the area by the banks of the Bow River for easy access to fallen timber. The original mill property came from Eau Claire, Wisconsin, and the Calgary operation was run by the Eau Claire Timber Company. Thus, the mill’s locality was eventually named Eau Claire. The neighborhood’s area was further developed from reclaimed industrial land and fronts the Bow River. The residential condominium properties in Eau Claire are housed mainly in mid-rise and high-rise buildings. Notably, a home exclusively for seniors — Eau Claire Retirement Residence — has also been set up in the neighborhood. The community’s condos located west of 7th Street are of newer vintage and are near the Kensington shopping district. Plans are also being drawn for new condos for sale close to the Eau Claire Market. A major redevelopment modernization plan is being pursued for the Eau Claire Plaza for its better integration with Eau Claire Market, Barclay Mall, Prince's Island, and the other surrounding businesses, hotels, and restaurants. Almost always identified with (but not officially a part of) the Calgary Downtown itself, the Eau Claire neighborhood offers a lot of lifestyle amenities. The Eau Claire Market, for example, hosts many shops and restaurants, as well as art galleries and the six-screen Cineplex Odeon multiplex. For the fitness enthusiasts, Eau Claire home buyers are mere steps away from riverside recreational pathways. Additionally, there are fitness clubs and fitness facilities within the community including a YMCA gym. Planning to buy or sell a condo in Eau Claire Calgary? Let our real estate team guide you in your search for the perfect home and professionally facilitate the sale of your existing home. As Eau Claire neighbourhood real estate agents, we know how to navigate the Eau Claire real estate market. Let's get your home sold quickly and at the highest price! Contact Justin Havre at RE/MAX First - 403.217.0003 to find out more about buyer or seller representation. Thinking of selling your Eau Claire home? Check out our free property evaluation tool, where you can easily view Calgary Homes Values online in moments!